If you want to choose which brand offers the best products, you have come to the right place. 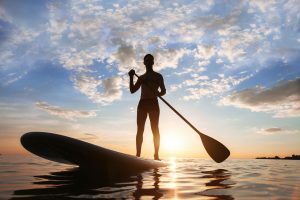 This article will list all the brands which we think offer the best stand up paddle boards on the market now. All of the brands listed have a good reputation in producing high-quality products that answer the needs of consumers. Check the list below to learn more about these brands. ISLE has been in the watersports business since 2004. It is located in San Diego, California, near the Pacific coast. 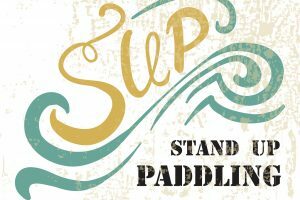 This brand is known to offer high-quality paddle boards because they are all designed and tested by paddlers themselves. Hence, you can expect nothing but a great performance. They are confident of their quality as they allow you to return their boards within 30 days after purchase, if they don’t meet your expectations. If you want to invest more on quality, you can try one of their best models, the Airtech 10’ Inflatable Stand Up Paddle Board. This board is super lightweight as it only weighs around 18.6 pounds. It can run on flatwater, rivers, and small waves. You’ll never have to worry if you ram it on the rocks, because its military-grade material construction makes its nearly unbreakable. 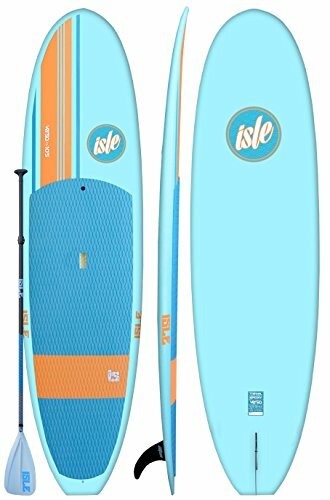 The ISLE 10’5 Versa ® Standup Paddle Board is a lightweight design which fits those who want to paddle with ease and convenience. Built with a sleek bow nose, it can move at a fast speed across oceans and bays. It can even glide and maneuver easily above choppy currents. Among all other inflatables on the market, this brand offers more special functions for flatwater cruising and ocean paddling. Tower was established in San Diego back in the summer of 2010. This brand emanates an active, social, and beach energy. It transforms stand up paddle boarding from a mere hobby into a total lifestyle. 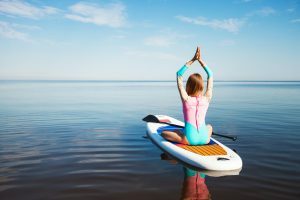 It provides a premium EPS/epoxy stand up paddle board for nearly half the price of its competitors on the market. If you want an affordable board, then this brand works for you. One of its leading models is the Adventurer Inflatable 9’10” SUP Package which is extremely firm when fully inflated. It is made of military-grade PVC material and dropstitch reinforcement for durability against dings and board damage. You can store this unit in its bag once deflated. It also includes some basic equipment like a pump and a 3-piece adjustable paddle. You also get a 2-year warranty for full material defect coverage. BIC Sport has been in the watersports business since 1979. This brand is known for producing rugged performance boards at reasonable prices. Though their boards are priced inexpensively, they have an expensive feel to them that you can’t beat. Their prices range from $493-$1,479. 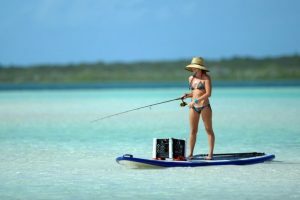 One of its least-expensive models is the Bic Sport SUP AIR Inflatable Stand Up Paddle Board which offers a rigid construction, thanks to its 6” dropstitch construction. It is built with a carry handle for easy transport and a detachable center fin for stability. Another of their best performing models is the ACE-TEC Performer which can be used for both flat water and small wave surfing purposes. It is made from its exclusive epoxy composite construction which offers an optimal lightweight performance and durability. Aside from a central fin, it has two side fins which add more directional stability. It is also built with a soft EVA deck pad which offers comfort while you ride on it. It is designed with an ergonomic carry handle making it easier to transport it around the shore. Kwik Tek is the parent company that produces Sportsstuff. It has been in the watersports business for more than 20 years. Sporsstuff stand up paddle boards are created of the highest quality materials. This brand is exceptional in manufacturing their boards with 840 nylon covers and 30-gauge PVC bladders, a specification only a few can surpass. It offers various styles and sizes of boards to fit all skill levels and needs of paddlers. 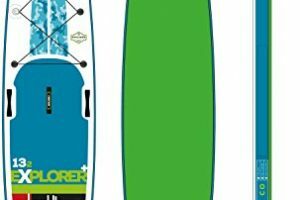 One of its famous stand up paddle boards is the 1030 Adventure which is an inflatable model built for convenience. It secures your feet very well as it provides a large anti-slip EVA pad. This model comes with other essential accessories, like a paddle, detachable seat, tow rings, and a hand pump with an integrated pressure gauge. When inflated, it measures around 10’6” x 30” x 4”. It can carry as much 250 pounds of weight. 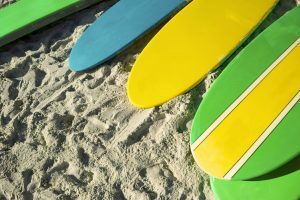 Entering the market in 2008, California Board Company, whom is owned by parent company Keeper Sports Products, continues to be a leader in the design and manufacturing high quality affordable stand up paddle, surf and bodyboards. Their team of designers, shapers, riders and staff constantly work on bringing innovation and new technology to this growing industry. As a company, their philosophy is to make affordable boards to be sold on the mass market. A review of their entry 10’6″ SUP & Paddle can be found here. 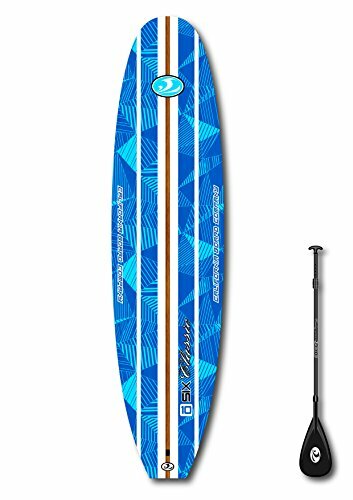 This board comes as a complete package with surf leash, neoprene padded ankle strap, adjustable SUP paddle with exclusive Blade Shield, and instant padded roof racks. This CBC SUP Board weighs 25 lbs and can hold up to 300 lbs. Great budget board to start with. One of their best offerings is their fishing SUP simply called the HD. The HD gets its name from its unique hull design, which is a hybrid between a recreational surf style hull and a displacement-touring hull with a “V” nose entry referred to as a “hybrid-displacement” hull. This revolutionary hull design helps to make the HD one of the most versatile paddle boards on the market by allowing the board to effortlessly (and quietly) glide through the water while maintaining excellent stability in both smooth and choppy water. 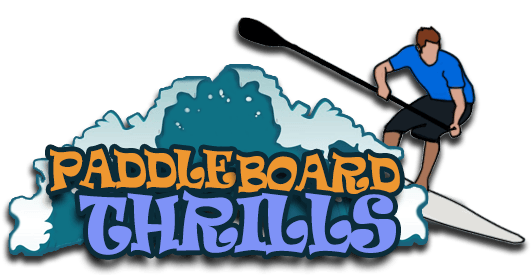 Get more advice and reviews by visting: paddleboardthrills.com. 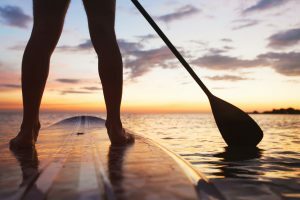 Finally, we end with a break down from our friends at REI on what to look for in a paddle board.